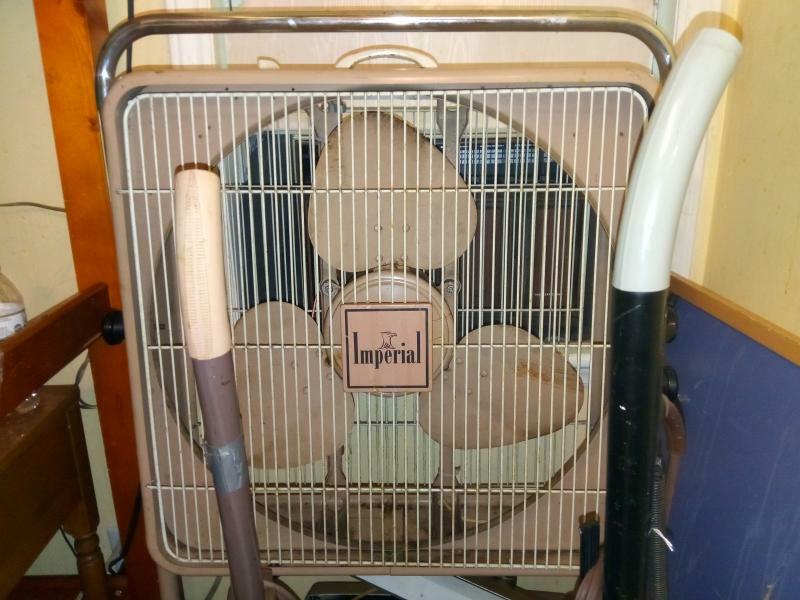 hi, I have a box fan i bought a couple days ago and it is branded Imperial no model number or anything, it is not a wizard imperial which is made by Bersted, it is just an imperial. it is on a large stand with wheels and it can be removed from the stand. 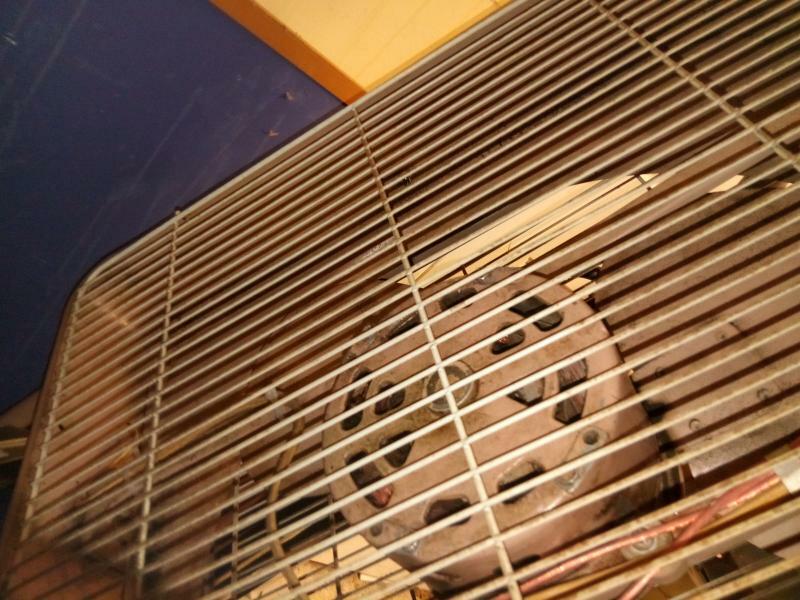 the motor is HUGE and the whole fan and the blades are made of really heavy metal. i have looked up the name imperial and can only find wizard imperial fans. i cannot find anything, the badge is on the grill, it is square and says imperial with a picture of an eagle under it. I will post some pictures of it when i get home and see if anybody knows anything about it. any knowledge would be great, all i know is it is heavy, built like a tank and makes hurricane forced winds. all the wiring going from the switch to the motor was rotted off and the fan just blew fuses when you turned it on so i got it for 15$ and all i had to do was replace the wire and that was pretty easy because the motor just comes apart with 2 screws and you can solder the wires directly onto the terminals of the switch. i think for any metal fan in reasonable shape 15$ is worth it and this fan does not have a scratch on it. 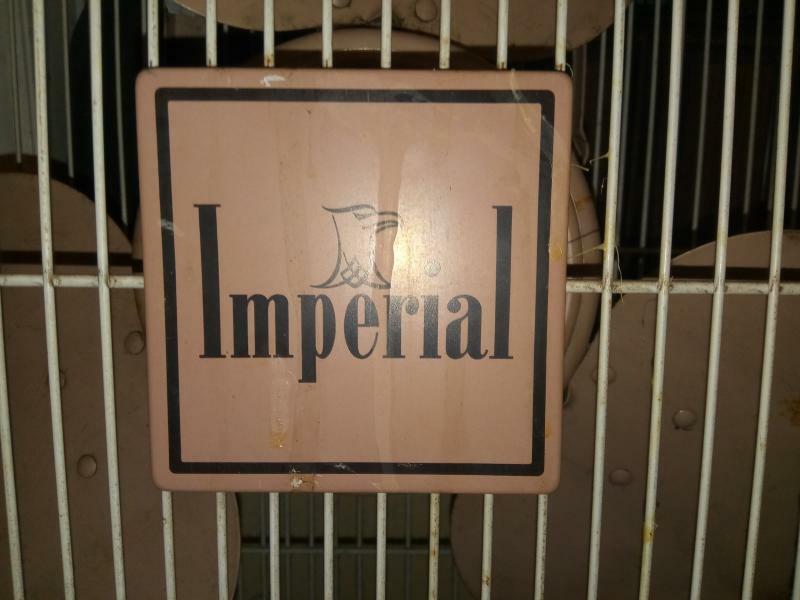 P.S I am aware that air king made a box fan named imperial but this does not seem in any way related to that. The way you describe the motor is that it sounds like it might be a rebadged Hunter box fan, because Hunter made box fans had really big beefy motors and large blades as well. i also forgot to mention there is a store that has a fan in it that is branded as a Duracrest, completely different fan but the blades are identical. Yep, your fan is a Rebadged Hunter. There was a similar fan that was made by Hunter that was badged Armaid, Charles Tedrick had that fan at one time. I don't know if he still does or not. As stated , that was made by R&M Hunter, circa 1962-63, earlier versions would have been aqua, but Hunter made fans for local stores. Also they had an entry level brand called AMC plus a bunch of store brands. That is a very robust motor, i have a number of fans with it. The blades are very efficient and move a lot of air. You have a very good find there! thanks. 15$ was a good deal for any vintage fan in my opinion. that one is a better model for an entry level fan. looks to be 2 speeds. The better features of course include the motor, stand and venturi housing around the blade. That motor and blade came in the model fans i have, one is a panel window fan, 2 speeds each way, plus i have three convertible box fans, 2 hunter and one AMC , 2 speeds each way with pushbuttons, shiny brass applique, signal light, thermostat and an internal telescoping window mount and retractible handle. 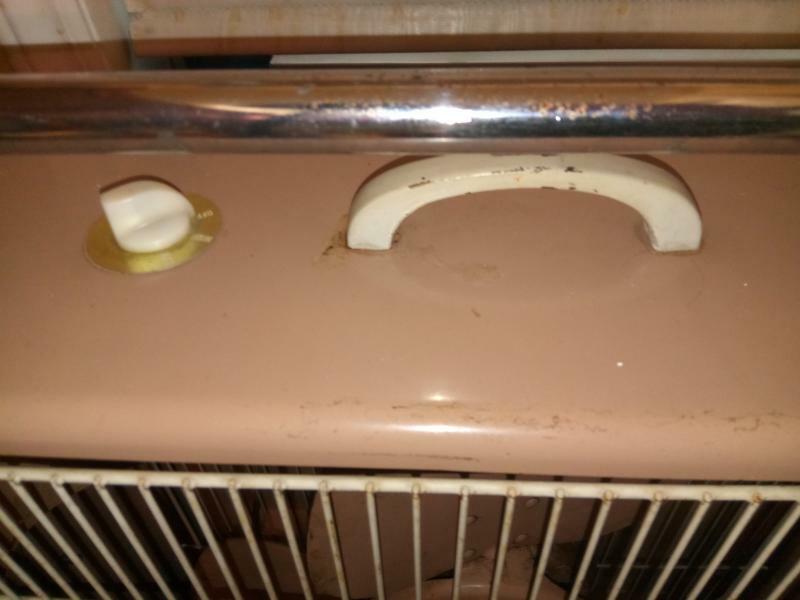 They also came 3 speeds each way, with a fancy heavy gold tone front grille, 2 speeds each way with rotary and thermo control on the side, 3 speeds each way with pushbutton and thermo control on the side and in those the signal light was actually inside the fan box behind the grille. The blade changed around 1965 and to me it was matched to a motor that wasnt as robust as this one. You have a good find! Page processed in 0.1493 seconds (11% database + 89% PHP). 27 queries executed.